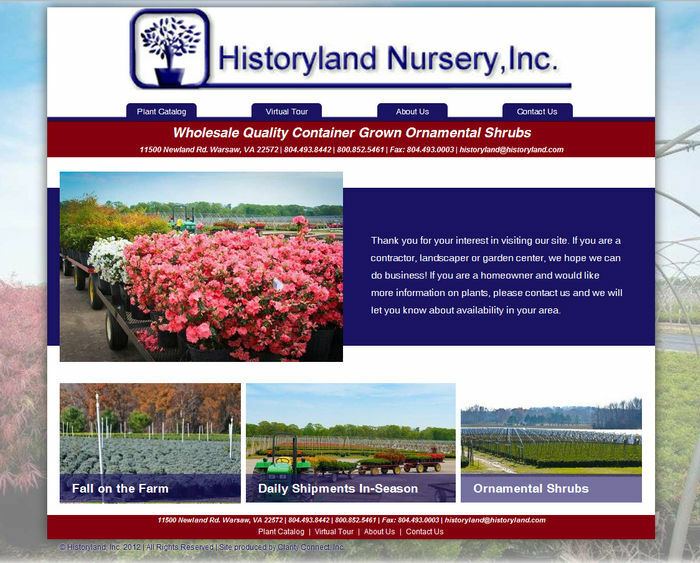 Historyland is a wholesale grower of container grown plants. For over 30 years they have been supplying customers with excellence in quality and service. 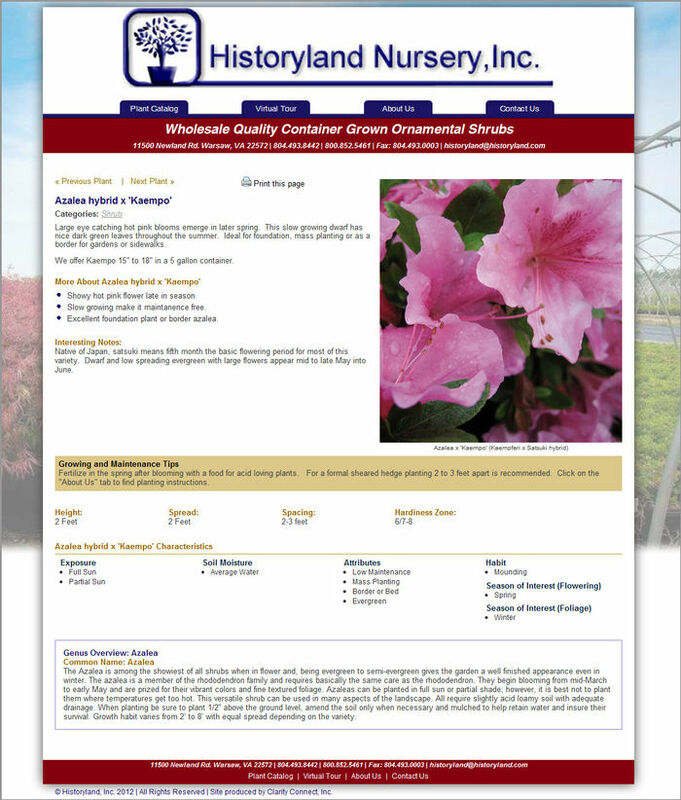 They are the largest grower on the east coast of famous "Kalmia" (Mountain Laurel) with the greatest selection in size and variety. Historyland Nursery is also one of the largest growers of the ever-popular Rhododendron.